Are you engaged, thinking your man is going to ask you to marry him, or just wishing he would? Well, either way, congratulations for finding the guy to spend your life with! There is a lot of information out there on what you should be asking your prospective wedding djs; in particular… As the guy in the booth – being weeded out, or planted, for a brides wedding – I have narrowed your questionnaire to 5 simple questions! Follow me… Let’s make this simple! First, is Your DJ Available? “A journey of a thousand miles starts with a single step“! Do They References and Testimonials? The DJ you are looking at, or for, should be able to provide a list of testimonials for you to call or email. This is a list of real clients, current or past, that your DJ has worked with. There is no better way to hear good things about your DJ than from the horses mouth. Along with the references there should be testimonials all over the web about your wedding vendors, let alone your DJ. These testimonials should be consistent and congruent between social media and large search engines. What is your DJ going to provide and how does this line up with what you want? There are a lot of ‘cost effective’ DJs out there – but, are they providing everything you want? There are sub categories of services here, that are basic, and listed below so that you can figure out what is actually important to you! 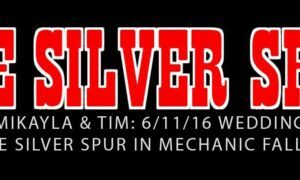 Ceremony System – Independent of reception setup?, wireless microphone included? will they play music? Wireless Microphone for Reception – Two would be nice but one will work. Who wants their maid of honor, or best man, stuck to the DJ booth because the DJ only has 1 wired microphone? 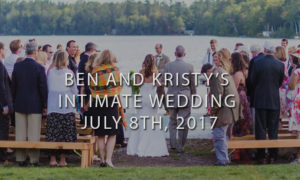 Cocktail Hour System – If your cocktail hour is in a separate location from the reception – how will your DJ provide music/sound for this spot? Having an independent system is great but not necessary. Wouldn’t you like to see and hear your DJ in action? One or the other would be nice, right? Everyone has a cell phone and it isn’t hard to capture short clips of introductions, dance floors, and music transitions. If your prospect DJ, in Maine, can’t do this for you – ask them why not? A DJs values are important because they should line up with yours. If a DJ values a certain era of music, or doesn’t take requests, or only has a single playlist they use for weddings, are all examples of something a particular DJ would value. Your DJ should have the expectations that you have. For me I appreciate musical freedom – meaning, I want my clients to allow me to play a variety of music to appeal to all ages…. I don’t perform well when I am stuck to a list of music or one specific genre. That’s something I value – does that line up with what you want to have at your wedding? Will YOUR Maine DJ tell you what they value in their clients?…… Because not every client is for every DJ and every DJ is not the right fit for a client. Is it going to be you…. or someone else? Can I talk with the DJ you are going to send out? How do you choose the right candidate (DJ)? Will the DJs name be listed in the contract? Do your homework. Pricing isn’t EVERYTHING. It is important – but it is not the only way to hire an entertainment provider. There are vast differences between a professional and a hobbyist. You should be poking holes in every DJs sales pitch – shop around – hire the individual that has everything you want and that you ALSO feel most comfortable with. If their price is higher than you would like – it is higher for a reason. 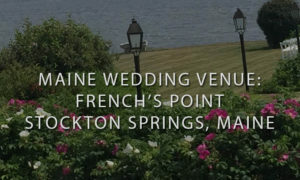 French's Point - Stockton Springs, Maine: Possibly the most beautiful wedding venue the Pine Tree State has to offer!